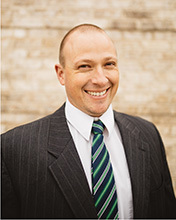 Kristofer Heaton CPA, began his career with a large bank in Salt Lake City in 2004. He decided to move to public accounting and gained experience in various industries including governmental entities requiring Single Audits (OMB A-133). After working for 8 years for other firms, Kris founded his own firm “Heaton & Company, PLLC” in 2015 which specialized in audits of public companies. Kris has now joined forces with Doug Child as they merged their firms to bring a full knowledge base and team together at Pinnacle Accountancy Group. He obtained his Bachelor’s in Accounting from Brigham Young University and his Master’s degree in Accounting from Weber State University. In his spare ​time Kris enjoys coaching soccer, spending time with his family watching movies and running to all the activities for his kids.